Digestive disorders can be extremely disabling. They can affect your health on a pervasive level. Making a case for Social Security disability benefits for Crohn’s Disease, IBS and colitis is challenging, but not impossible. Crohn’s primarily strikes the young – typical onset is age 15-30 – but can occur at any age. It is a chronic, cyclical autoimmune disorder of the digestive tract. Although many people with this condition can lead happy productive lives, some can only function within severe limitations. Abdominal pain and chronic diarrhea are the early symptoms that are most likely to interfere with working. It is difficult to eat or digest food. Fever and joint pain are frequently reported and there may be hospitalizations and surgeries as the disease progresses. Long-term loss of appetite and weight loss are common effects, due to an inability to absorb nutrients. Side effects from medications such as cortisone can be disabling in themselves. When prescriptions and dietary changes stop working, there simply is no cure for Crohn’s. When we build evidence to prove such a case, we work to gather detailed information from medical providers. Some cases are difficult to prove empirically, so we must show exactly how the condition prevents the patient from doing full-time work. This can be complicated by remissions and exacerbations of the disease. Experience has shown us that people are reluctant to discuss symptoms like incontinence and loss of bowel control. A personal diary can be helpful since medical records may not tell the whole story. Any psychological aspect of the disorder, like depression should be developed into viable medical evidence through testing and treatment. The emotional piece of all of this cannot be ignored. These cases are often won by presenting detailed testimony about unpredictable daily activities. Have many workdays have been missed? Do you need constant proximity to a rest room and frequent breaks? How much time do you need to spend away from a workstation? Unpredictable diarrhea presents incalculable limitations in public settings. Testimony about pain and fatigue can also clarify the impossibility of full-time work. Remember, a few good days now and then are not the same as being consistently “available” for full-time work, on a predictable and sustained basis. Let us help you sort through the questions about this condition – there is never a charge for a consultation. Contact us today; we can help. 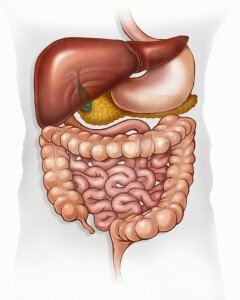 Crohn’s & Colitis – Website to learn more about Crohn’s and Colitis. Connect with a local doctor. Crohn’s Disease – Treatment Options at Mayo Clinic – Learn about Crohn’s disease diagnosis and treatment at Mayo Clinic.